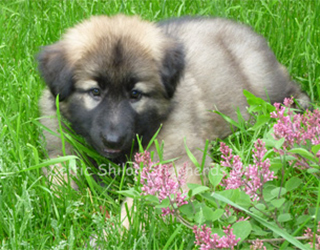 "Celtic Shiloh Shepherds is located in Mississauga, Ontario, Canada which is west of Toronto. Our small breeding program allows for emphasis on health and temperament. Our girl, Caera, is a Master Canadian Champion. She is ranked as the All-Breed International Dog Show's Top Dog of 2014 and she is also the ISSDC's National Select #4 of 2014. We are extremely proud of her accomplishments. Our pups are raised in a living home environment and are well-socialized with adults, kids, dogs and cats. They are temperament tested, veterinary checked, dewormed, have their initial vaccinations and have a written health guarantee. Our Shilohs are intelligent, affectionate and make great guardians of home and family. Companion and show quality puppies are occasionally available to approved home. We welcome any and all questions and enquires."